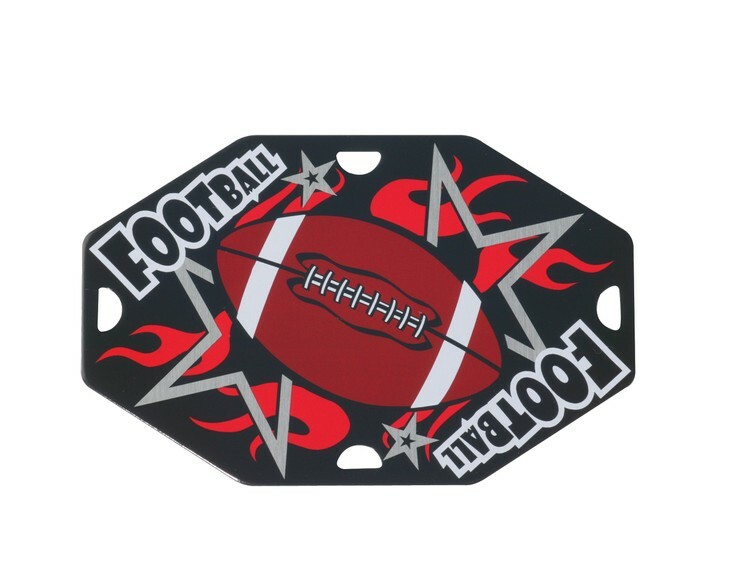 Football Metal Street Tag. Front is black with a full color graphic. Tag is an octagon shape. Back is engraveable. An engraved or full color insert can be added to the back. Minimum of 10 for full color inserts. Engraving and inserts are not included in the base price. See options for upcharge. 31" Neck Chain (39900-S) can be added at an additional charge. Neck chains, ribbons and split rings will be shipped unattached.